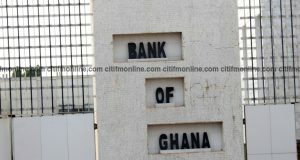 The GH¢51 million judgement debt which was paid to the businessman, Mr Alfred Agbesi Woyome, is missing from the accounts of the Ministry of Finance (MoF) and the Controller and Accountant-General’s Department (CAGD), the 2016 Auditor-General’s Report has revealed. According to the report, the MoF and the CAGD failed to capture the amount in their accounts in 2016. The omission is one of two judgement debts that did not reflect in the accounts of the Consolidated Fund. The second one is a $3.8 million judgement debt against Dunkwa Continental Goldfields Ltd (DCGL) that the country won at the International Chamber of Commerce (ICC) in August 2015. [contextly_sidebar id=”qVGuYx5VAKZhJcMBW5ANAIjxa5wOUjlL”]The response offered by CAGD in the case of Mr Woyome’s money was that the amount had been “disclosed in the notes to the Public Accounts, since our revenue policy requires that revenue is recognised only upon receipt”. However, the 2016 Auditor-General’s Report on the Consolidated Fund stated that notwithstanding the CAGD’s explanation, the anomaly constituted weaknesses that must be addressed holistically. It was the view of the Auditor-General that periodic monitoring and reconciliation among debtor institutions, Public Debt and Investment (PDI) and Debt Management Division, were done on an ad hoc basis and, therefore, not comprehensive to cover the state’s entire receivables. The state has been battling Mr Woyome since 2012 over the GH₵51 million paid him in a default judgement in 2010. The Supreme Court, in a review application on July 29, 2014, ordered Mr Woyome to refund the money because the contract upon which he received the payment had not been sent to Parliament for approval, contrary to the 1992 Constitution. In the case of the DCGL judgement debt, a tribunal constituted under the rules of the ICC in 2015 dismissed a $200-million claim filed against Ghana by two foreign-owned mining companies. The companies, the DCGL and the Continental Construction and Mining Company Limited (CCML), filed the action against the government in 2011 but the tribunal threw out their claims for lack of merit. 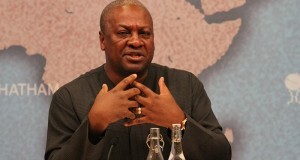 It then proceeded to award $3,164,137.51 against the applicants and a further order for a refund of $700,000 to Ghana. 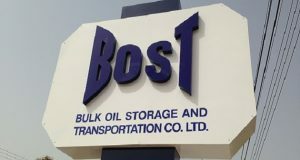 Both companies had accused the government of unlawfully terminating their contracts, but the tribunal held a different view after taking the submissions of the parties into consideration. However, the tribunal upheld the state’s counter-claim for $700,000, being a World Bank loan that was lent to the two companies by the government. According to the tribunal, the government of Ghana, acting through the then Minister of Lands, Forestry and Mines, did not breach or unlawfully terminate the project agreement relating to the Dunkwa gold mine. In the same report, the Auditor General stated that last year the Ministry of Finance failed to transfer GH¢819,880,284 of mandatory statutory funds to the Social Security and National insurance Trust (SSNIT) and the National Pensions Regulatory Authority (NPRA). As of December 31, 2016, the MoF had failed to transfer GH₵534,849,413 to SSNIT as the contribution of public sector workers. Similarly, GH₵285,030,871 was not transferred to the NPRA as required by law. According to the Auditor-General, the government’s failure to ensure the payments meant that the government risked “paying penalties at the rate of three per cent per each month of default to the schemes as enshrined in Section 64 of the Act”. He recommended that the MoF should ensure that the outstanding balances were transferred to the schemes immediately to avoid payment of penalties by the government and also ensure strict adherence to Section 3 of the National Pensions Act, 2008. In a management response, the MoF stated that the non-payment of those amounts to the NPRA and SSNIT was due to cash flow constraints. “The MoF has made provisions for these arrears in the 2017 budget. Discussions have been initiated with the institutions to agree on a payment plan to settle the outstanding amounts,” it said. 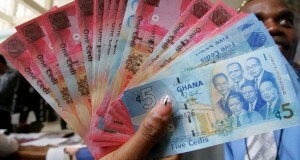 Apart from the MoF’s indebtedness to the two pension-related institutions, the report revealed discrepancies in the closing balances reported by the CAGD and the confirmation received from the statutory institutions — the National Health Insurance Authority (NHIA), the Ghana Infrastructure Investment Fund (GIIF) and the Road Fund — amounting to GH¢1,306,592,288. While in the books of the NHIA, it had GH¢544,976,790 as the government debt, the Public Accounts had GH¢793,543,687, with the difference noted as GH¢248,566,897 by the Auditor-General. For the GIIF, GH¢2,235,146,303 was stated as the government’s obligation, but in the CAGD’s books, the government’s debt was GH¢693,190,263, with GH¢1,541,956,040 as the difference. For the Road Fund, it stated GH¢225,573,791 as the government’s liability, but the Public Accounts had GH¢212,370,646, with GH¢13,203,145 as the difference. According to the report, the anomaly could be attributed to the inability of the CAGD to perform periodic reconciliation with the statutory institutions to confirm their balances. 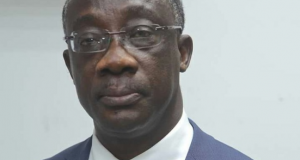 “This also led to the unexplained difference of GH¢1,306,592,288 between the liabilities reported in the Consolidated Fund Accounts and those captured by the statutory institutions,” it said. The Auditor-General recommended that the “CAGD should liaise with the institutions to reconcile the liabilities to ensure that accurate figures are restated in the financial statements to reflect the true liability position of the government to the institutions”. The CAGD, in response, said it was in the process of reconciling the discrepancies noted.